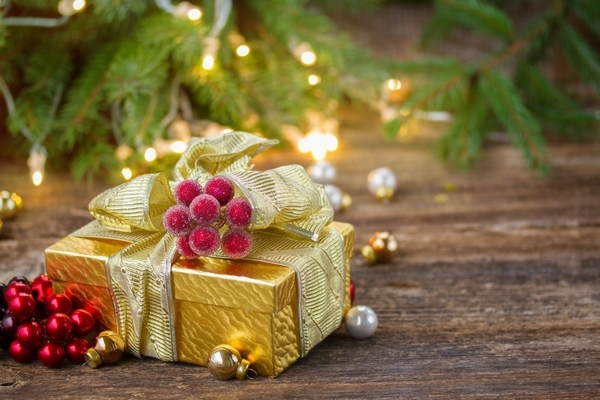 What is the best gift that you can give? Do you believe that there is one thing that we can give that doesn’t cost any money and it will be appreciated by everyone? This gift takes the stress out of giving. My post has been inspired by a message that I read in a friend’s Christmas newsletter. Celebrations such as Christmas are often anticipated with mixed feelings. The gift that my friend Elaine mentioned in her newsletter is the gift of presence. Being present in the moment and sharing with our loved ones. I would like to add a little to the message. There is really three gifts in one; being present; with a purpose and with patience. Each of these are special and appreciated by everyone. Being present is part of being mindful: having your attention in the current moment, listening to the person that you are with and observing them. Are they happy? Are they sad? Are they excited? Are they fearful? By observing the person we can respond more appropriately in that moment. Do they want us to laugh? Do they want us to just listen? Do they need encouragement? Do they need a hug? Being present allows us to fully appreciate what is going on in the moment. To make the most of being present we have to have a purpose. What is the purpose of your gift of being present? May be your purpose is to avoid a family argument, to avoid feeling pressured by other’s expectations or prevent becoming the victim of someone else’s joke. Humour in groups can become overwhelming. As much as we my love our family, at times being all together can become annoying or frustrating, and can lead to a feeling of “why did I attend this function?” If you feel this way, and are unable to deflect these pressures, then it is best to remove yourself from the group by not attending, or attending for a shorter period of time. Also think about your purpose for offering the gift of being present. Sometimes our purpose can be challenging, so this where the gift of patience becomes really important. We can have good intentions to be present, with a purpose and with patience, but we have to be kind to ourselves as we perfect these gifts. Patience with ourselves and others is truly a gift. You might say, “Why do I need patience to enjoy an occasion?” This depends on your purpose. If it is to listen, and you are not a very good listener, you can become impatient and will want to speak. If your purpose is to celebrate the occasion with others and enjoy a couple of glasses of alcohol too, and you are used of drinking more, then you will have to be patient with others who are encouraging you to drink more. And also be patient with yourself if you decide to have three or more drinks. Perhaps sharing with your friends and family includes a lot of food. You may come from a family where food is an expression of love, but part of your purpose of being at this celebration is to practice eating mindfully and only eat enough food to satisfy your appetite. Again you will need patience with yourself and others to decline the offering of extra food to honour your appetite. We can have good intentions to be present, with a purpose and with patience, but we have to be kind to ourselves as we perfect these gifts. So not only do we have to be present with purpose and patience for others, we need to do it for ourselves. If we are not present with our own mind we do not know our thoughts. We won’t know if our thoughts are supporting us or tearing us down. My wish for your this Christmas is to be present with those that you love with the purpose of celebrating in a way that has meaning for you and to be patient with yourself and others when things do not go as you would like. We cannot control everything that happens to us, but we can choose how we respond. Wishing you a very merry Christmas.